China Residencies got in touch with Handshake 302 founders Mary Ann O'Donnell & Zhang Kaiqin over e-mail to learn more about their organization and the open call for their newly established residency program in Shenzhen. China Residencies: What is Handshake 302 and how did it come to be? 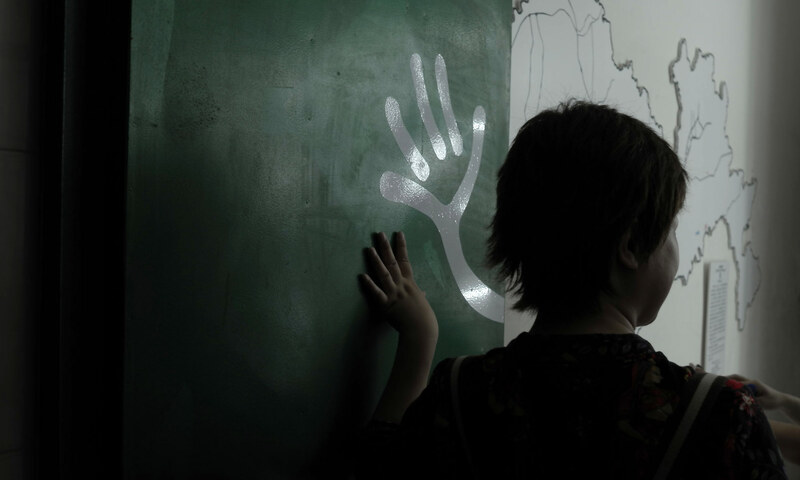 Mary Ann O'Donnell & Zhang Kaiqin: The Handshake 302 Art Space is a repurposed, 12.5 m2 efficiency apartment on the third floor of Building 49, a six-story walk-up apartment building in Baishizhou, one of Shenzhen’s most infamous urban villages. The name of the art space, Handshake 302 alludes to both the most common form of walk up apartment building in Baishizhou and also (more elliptically) to the number of handshakes any recent migrant must make in order to meet and greet her neighbors and potential employers. The handshake is also a gesture of goodwill within this maelstrom of migration. We started Handshake for two reasons. First, we were interested in creating a venue that would both nourish young artists and second, we believe that art thrives to the extent that it engages the city’s gritty dreams. CR: Tell us about your backgrounds -- how did you meet? And how did you decide to start working together? MA & ZK: We met in 2010, during the “Discover Meilin” event, which was part of “Discover Shenzhen,” a two-year project by Riptide. “Discover Shenzhen” mapped the city by bringing together teams of artists, designers, and scholars. Kaiqin was one of the artists and Mary Ann was one of the scholars on the “Discover Meilin” team. 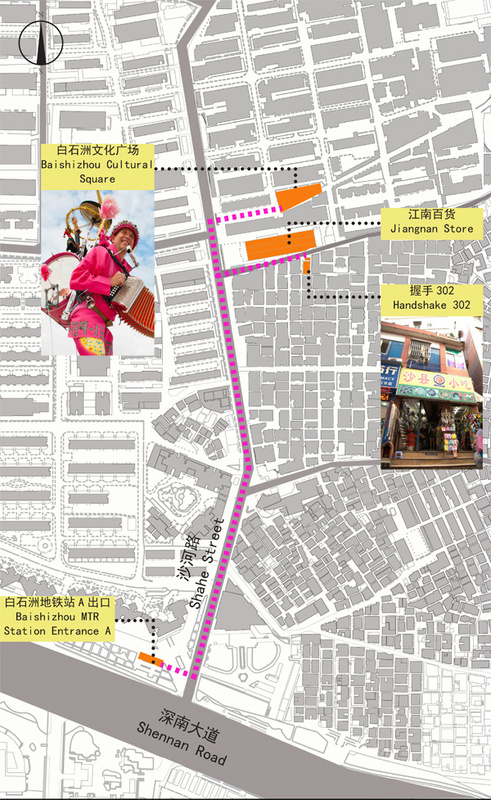 In 2012, a group of artists, architects, and scholars met in Baishizhou to discuss what might be done to draw attention to the importance of the urban village (specifically and in general) to Shenzhen culture. Again, Kaiqin and Mary Ann participated as artist and scholar, respectively. We decided to work together because we realized Baishizhou would not only be a great place to work, but also a viable place to set up a program. CR: How did you find and decide on the location of the space? MA & ZK: Throughout the village there are advertisements for informal housing agents. Kaiqin called one of them, and she showed us several apartments that met our criteria: cheap rent and easily accessible. CR: What is it about Baishizhou that drew you to the neighborhood? MA & ZK: The density of Baishizhou supports a diverse and rich social ecology, comprising workshops for the production of control board prototypes, design and architecture studios, as well as logistic transfer stations. The neighborhood has wet and upscale food markets, convenience shops and hardware stores, and also boasts a Kendo studio, a hacker workshop, a coffee shop, two microbreweries, and a cocktail bar that features cutting edge electronic music and avant-garde films. Neighborhood demographics are the foundation of Baishizhou’s urban ecology. Unlike the city’s high-end residential estates, the diversity of housing options in Baishizhou mean that recent college graduates, OCT architects, foreign English teachers, and middling white-collar workers live next to working class families, small shop owners, beauticians, foot washers, vegetable stand owners, and garbage collectors. Importantly, Baishizhou teems with children who play in the streets and often help their parents run their businesses before and after attending one of the neighborhood schools. Of course, even though Baishizhou shelters an estimated 140,000 people, even more Shenzheners have used Baishizhou as a springboard for realizing their personal dreams. CR: The concepts of the “efficiency apartment” and “urban village launchpad” are particularly interesting in an already extremely industrialized Shenzhen. Can you speak more to these ideas? MA & ZK: Over half of the Shenzhen’s population lives in roughly 5% of its total area--the 200 odd “villages” that are scattered throughout the city. Most of the city’s population comes from somewhere else and, unless they came as part of an official work unit or a high manager, have found affordable and convenient housing in a village that is located near their place of work. Most village housing is small. Efficiencies, one- and two-bedroom apartments are the norm, built with the expectation that renters will move on once they have accumulated enough money or found a higher paying job. In effect, villages are low-cost, working class neighborhoods. CR: How many people are on staff? Can you tell us about the core group of curators? MA & ZK: There are five members of the core group--Zhang Kaiqin, Wu Dan, Liu He, Lei Sheng, and Mary Ann O’Donnell. Each of us brings a different strength to the project. Kaiqin is a sculpture by training with five years experience in public arts administration in Shenzhen. Wu Dan is a graphic designer with two years project management experience. Liu He is a curator, with four years experience running the educational outreach program of the Shenzhen Architecture Biennial. Lei Sheng designs and installs commercial interiors and exhibitions. Mary Ann O’Donnell is an anthropologist who has lived and worked in Shenzhen for over twenty years. CR: Since this is the first year you’re running the Handshake 302 Baishizhou Artist Residency, what kind of projects are you hoping to support? MA & ZK: We’re curious about what other people see in and make of Baishizhou, so we’re interested in projects that explore and respond to the neighborhood. CR: Does the residency culminate in an event, open studio, public program, or exhibition? MA & ZK: The residency is loosely structured around a series of open houses which are held once a week, and then a final presentation of what the artist has done in Baishizhou. CR: How many people can you host at once? MA & ZK: One is comfortable; two is possible but very, very intimate. CR: What kind of support and opportunities are you offering the artists? How would you like them to engage with the neighborhood? 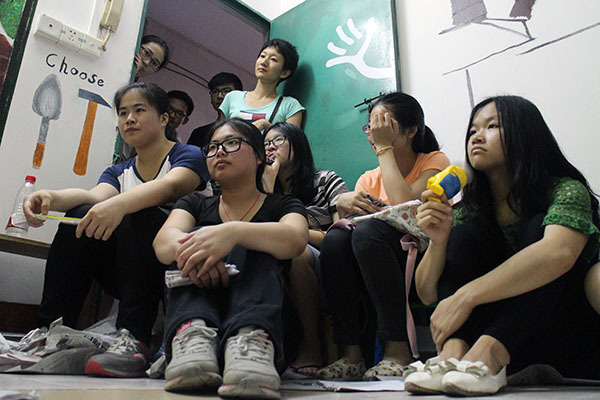 MA & ZK: In addition to housing and a small stipend, we introduce artists to our “village friends,” Baishizhou shop owners and residents who are interested in working with artists. We also include artists in our Handshake 302 WeChat circle, a group of roughly 300 people who have expressed interest in working and/or talking with visiting artists. This network helps the artist in whatever way is feasible. We hope that artists will create something unexpected out of their experience. We trust that the processes of discovery and engagement, gathering and reflection will enable artists to do (and/or start) something that couldn’t happen elsewhere. CR: What’s the overall goal of Handshake 302, and how do you see the residency evolving over time? MA & ZK: The current (and most likely long-term) goal of Handshake 302 is to use art to understand and interpret Baishizhou because we believe that a recognizably “Shenzhen” art will emerge in and through and because of the villages. CR: Is there anything else you'd like to add about the program, your mission, or the opportunities you provide for artists? MA & ZK: Come. Experience. Learn. Baishizhou is not comfortable, but it is vibrant, exasperating, and inspiring. The morphology of Baishizhou integrates both the Special Zone’s industrial past as well as its transformation through creative industries, financial services, and real estate development. On the one hand, one of Shenzhen’s earliest industrial parks, the Shahe Industrial Park is located in Baishizhou and many wage workers live in the neighborhood. On the other hand, as manufacturing has moved to Shenzhen’s outer districts, these old factory buildings have been rented to young entrepreneurs whose start-up design, architecture, and technology companies represent the city’s latent future. This interview was conducted over e-mail on July 7th 2016 by Fei Liu for China Residencies.